It appears that Barbadian prime minister Freundel Stuart (pictured above) has avoided the fate of Grenada’s prime minister on Tuesday — the current count for elections to Barbados’s 30-member House of Assembly shows a provisional 16-13 lead for Stuart’s Democratic Labor Party (DLP), with one seat pending a recount. For much of the night, however, as returns came in, the DLP appeared to be tied with the Barbados Labour Party (BLP), which was hoping for a return to power under Owen Arthur, prime minister of Barbados from 1994 to 2008. Arthur returned to frontline politics in 2010 to lead the BLP once again, but it appears that his efforts have turned up short, despite polls that showed him with a better than even chance to return to government. On Tuesday, former three-term prime minister Keith Mitchell swept back to power, his New National Party taking all 15 seats in the Grenadian lower house of parliament. The DLP, which dates to 1955, and which was the party of Barbadian prime minister Errol Barrow, who governed the island nation in its first decade of independence, will have another five years in power. The election is the first mandate for Stuart, however, who succeeded the late David Thompson as prime minister in October 2010 after Thompson died from pancreatic cancer. Though Stuart’s majority has been reduced from 20 seats to a razor-thin 16 seats, a majority is a majority. Stuart, an attorney by trade, previously served as attorney-general and minister of home affairs prior to Thompson’s death. The ‘Dems’ will now have an opportunity to revitalize Barbados’s economy from its current stagnant condition — and over the next five years, Stuart will face further battles with the International Monetary Fund over a potential debt package or a devaluation of the Barbadian currency. The Caribbean Development Bank has identified Barbados, like Grenada, as one of seven countries with unsustainable debt levels. Two of the Caribbean’s more colorful island nations go to the polls this week in parliamentary elections — Grenada on Tuesday and Barbados on Thursday. In Grenada, prime minister Tillman Thomas is seeking reelection for his government, led by the National Democratic Congress (NDC), which holds 11 out of the 15 seats in the Grenadian House of Representatives, the lower house of Grenada’s bicameral parliament (the Senate, its upper house, is comprised of 13 members, 10 appointed by the government and three appointed by the opposition). 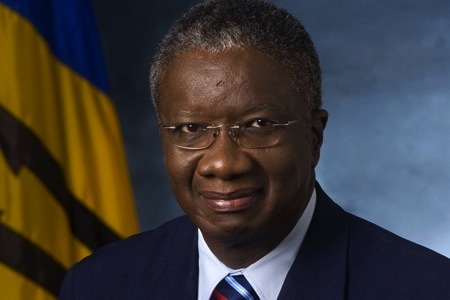 Meanwhile in Barbados, prime minister Freundel Stuart is seeking election in his own right after succeeding David Thompson as prime minister in October 2010 after Thompson died from pancreatic cancer. 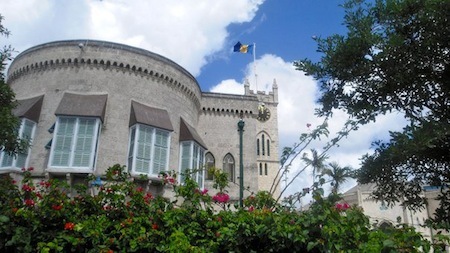 Voters will choose 30 members of the House of Assembly, the lower house of Barbados’s parliament (pictured above). Both incumbent governments face uphill battles for reelection amid tough economic conditions throughout the Caribbean region — just last week, Jamaican prime minister Portia Simpson-Miller announced the country’s second debt swap plan in three years, designed to alleviate Jamaica’s debt crisis, where public debt stands at 140% of GDP. Both Barbados and Grenada have been identified by the Caribbean Development Bank as having unsustainable debt levels. In both countries, more right-wing opposition parties are led by former longtime, three-term prime ministers (Keith Mitchell in Grenada and Owen Arthur in Barbados). Both feature stable political systems with a relatively entrenched two-party system, in each case with parties that are essentially moderate that lean only slightly left or right. 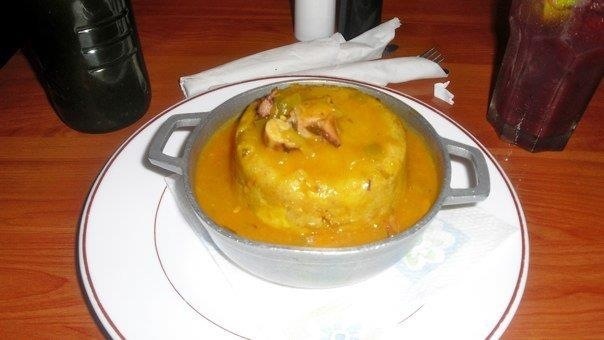 Both economies remain heavily dependent on tourism, and have absorbed the secondary shock of global economic downturn over the past five years, with each country having its own niche agricultural markets — Grenada is a leading exporter of nutmeg, mace and cocoa, while Barbados exports sugar and rum. 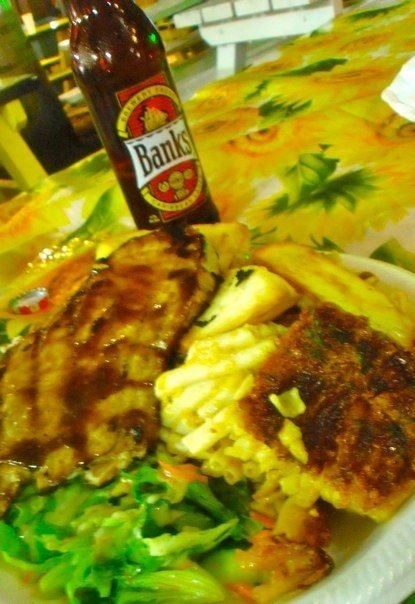 Both are former British colonies — Barbados, with nearly 275,000 residents, became independent in 1966, Grenada, with just around 110,000 residents, won independence in 1974 — that were both part of the short-lived West Indies Federation that existed from 1958 to 1962 that also included Jamaica and Trinidad and Tobago, among other islands. Queen Elizabeth II still serves as head of state for both countries — in Barbados, the Queen’s appointed representative, the governor-general, is responsible for appointing all 21 members of the Senate, the upper house of the Barbadian parliament. Both will be electing members of the lower house of parliament only, and in each case, election is determined on a first-past-the-post basis in single-member constituencies.